No Fixed Abode Pop Ups are back. This time celebrating the best in Kentish Game at one of the county’s most exclusive shooting lodges. 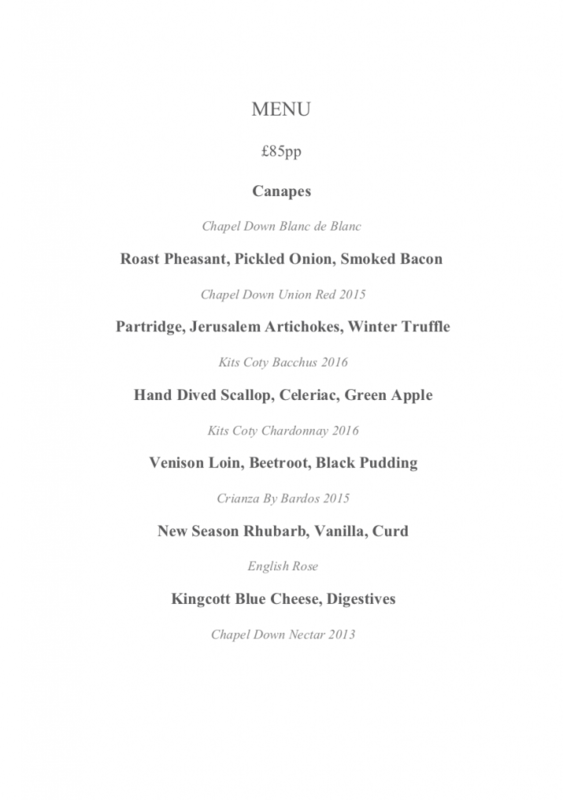 With only 18 seats, this Chefs Table dining experience with curated Chapel Down wine pairing is truly an evening not to be missed.